Following the 1st January holiday, the new session of 2019 of Sri Aurobindo Siksha Kendra, Bishnupur, South 24 Parganas in West Bengal began from January 2, 2019. Several new students joined the school from different areas of the school’s neighbourhood. 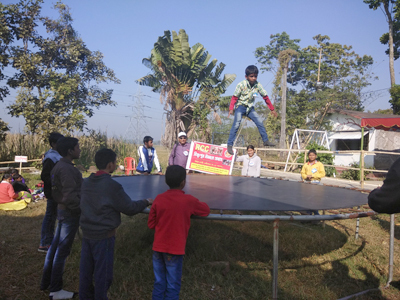 From January 2 to 4, students prepared for the school’s Annual Day and One Day camp held on January 5 and 6, 2019, respectively. The second Annual Day was organized in the school premises which was decorated with beautiful flowers. Kabita Poddar, a well-known floral artist and a well-wisher, inaugurated the school’s meditation hall. This was followed with a students’ competition in various fields in which not only students of Sri Aurobindo Siksha Kendra but also those from other schools performed songs, dances, yoga and so on. Silver crown, silver medal and trophy were given to those who held first, second and third positions. Later, Sri Aurobindo Siksha Kendra students performed “Rosa & The Monster”, a drama based on the "Beauty and the Beast” story. Students of the lower classes sang Happy New Year and Merry Christmas, and snacks were distributed at the end of the programme. 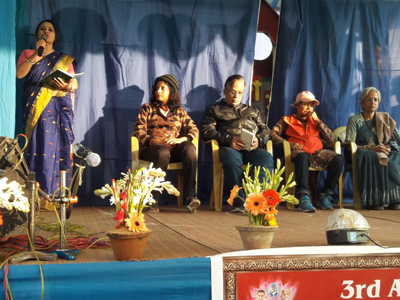 On January 6, 2019, everyone gathered in the school premises for the Central One Day Camp organized jointly by Bishnupur Uchchal Prabahao and Sri Aurobindo Siksha Kendra. 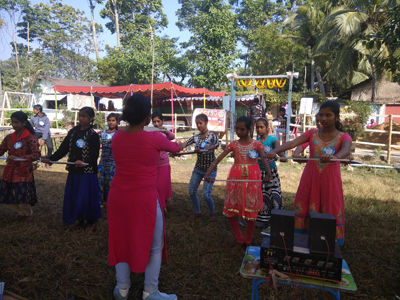 Around 350 students from different schools and organizations participated in the camp to learn activities such as dancing, singing, yoga asanas, parade, rock climbing, art & craft, drawing and so on. Trainers were identified to teach various activities to the students. The Camp turned out to be a great success and breakfast, lunch and snacks were provided to all the participants. From January 8 to 11, 2019, the 1st term syllabus of 2019 started with great enthusiasm. Every day, after school, for around 15 min some special tasks for the students and teachers such as cleaning, etiquettes learning, conversations, brain games and so on were organized. Special emphasis was laid on EVS class from January 13 to 18. 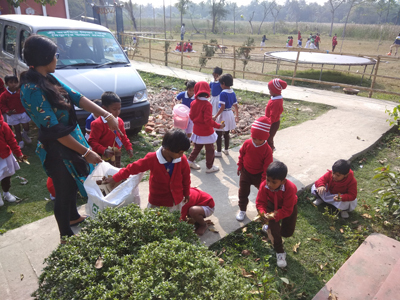 Students were taken outdoors wherein they learnt about tree plantation, classification of trees and animals. Every day after meditation and prayer, a special conversation class was arranged in which various topics were discussed. Meanwhile, two teachers from the Physical Education Department of Sri Aurobiondo Ashram, Delhi Branch visited Sri Aurobindo Siksha Kendra and taught a lot of physical activities which in turn were taught to the school’s students. The first few classes are held on the school ground every day to make the students’ bonding with nature even stronger. Above all, this makes the learning process joyful for both the students and teachers.